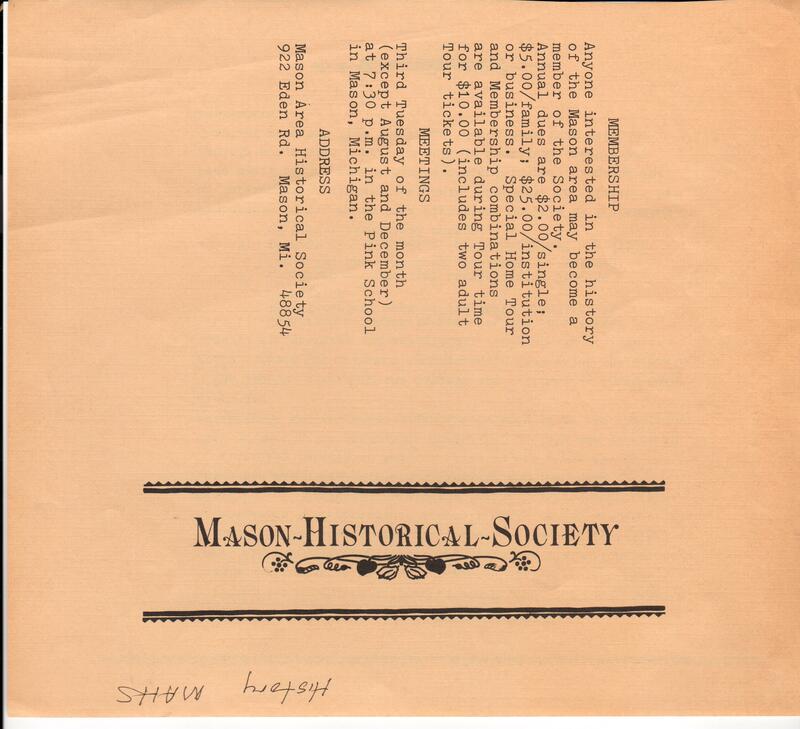 was founded on March 1, 1976 by Ordinance #94 of the City of Mason. 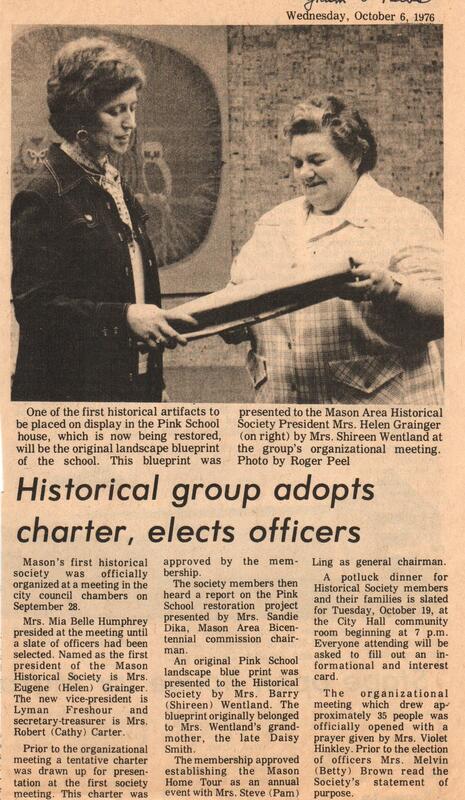 The first organized MAHS meeting was held at the Mason City Hall on September 28, 1976. Mrs. Violet Hinkley provided the begining prayer. Mrs. Mia Belle Humphrey that presided the meeting until the slate of officers had been selected. The newly formed group would make the Mason Home Tour their annual event to help fund expenses. Mrs. Berry (Shireen) Wentland presented MAHS with the oringial landscaping blueprintes for the 1849 Pink School that had been found in an attic. It had been owend by Mrs. Wentland's grandmother (Daisy Smith). 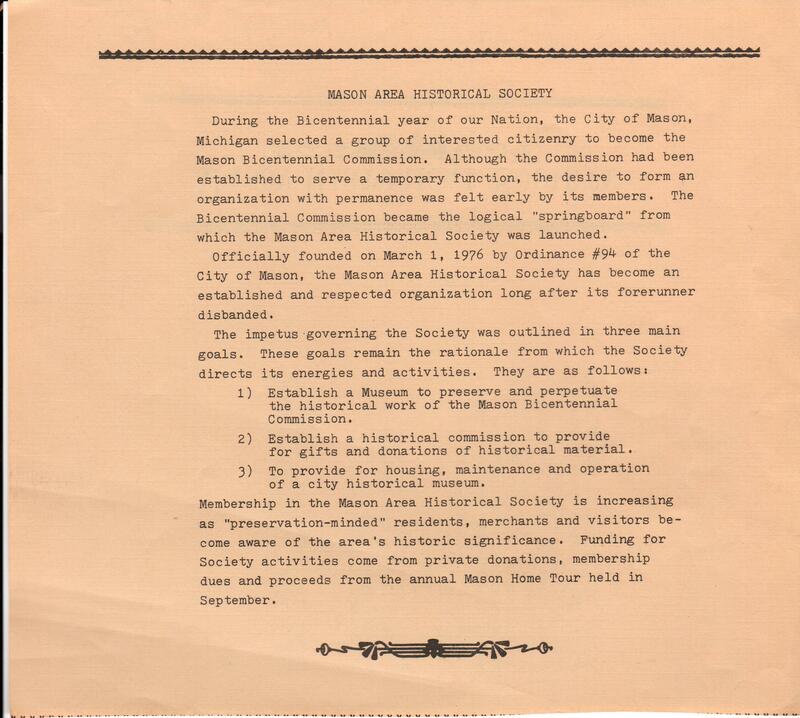 1) Establish a Museum to preserve and perpetuate the historical work of the Mason Bicentennial Commission. 2) Establish a historical commission to provide for gifts and donations of historical material. 3) To provide for housing, Maintenance and operation of a city historical museum.